A fascinating history and outstanding music scene have made Denton a North Texas cultural hotspot, but that’s not all this town has to offer. Explore the unique shops in Denton’s beautiful courthouse square, take in a show at the historic Campus Theatre, or enjoy the great outdoors at Ray Roberts Lake State Park. These are just a few of the attractions in Denton. Read on to see what this North Texas town has to offer. Experience life as a well-to-do Texan in the 19th century at the Bayless-Selby House Museum. The home features all the ornate stylings of the Queen Anne style of architecture, and its rooms are furnished with rare antiques from the time period. Bayless-Selby House Museum is open Tuesday through Saturday between April and October, and Wednesday through Saturday from November to March. Denton’s Campus Theatre is a true part of the town’s history. It began as a magnificent movie house in 1949, shut down in 1985, and was revived 10 years later as a performing arts venue. Today, the Campus Theatre, located in downtown Denton, hosts film festivals, plays, and musicals. Tickets for these performances can be purchased on the theater’s website. Clear Creek Natural Heritage Center offers lovers of the great outdoors the chance to experience some of the best birding and hiking in the Denton area. Traverse the nearly eight miles of nature trails that meander on Clear Creek and the Elm Fork of the Trinity River through grasslands, wetlands, prairies, and bottomland hardwood forests. 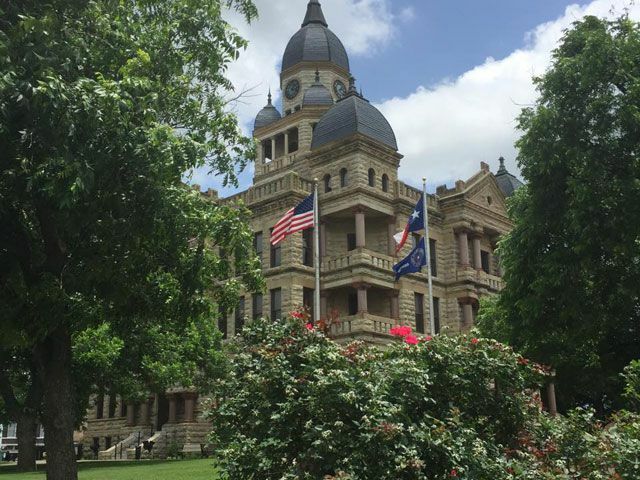 Denton’s historic county courthouse is one of the most photographed buildings in Texas, and it’s easy to see why. Completed in 1896, the three-story courthouse’s tan sandstone façade is accented by pink granite columns, while its impressive clock tower towers over four ancillary domes placed on each corner of the structure. These days, the courthouse is a museum that offers a look at the town’s history as far back as when it was first settled and the chance to tour the historic courtroom. If you’re the type of traveler who enjoys a bit of theater, then don’t miss a performance by the Denton Community Theatre. From September to August, this performing arts group conducts numerous plays and musicals at Denton’s historic Campus Theatre. A full season schedule is available on the theater company’s website. The Denton County African American Museum, also known as Quakertown House, is one of several attractions within the Denton County Historical Park. Step into the museum, situated within a home built in 1904, and learn about the lives and experiences of Denton County’s African American residents from the 19th century to today. Embark on a journey through the history of firefighting in Denton County at this museum, housed within the lobby of the Central Fire Station. Browse the displays of equipment and memorabilia from the 1800’s to the present day, including gear from a 1935 ladder truck and a 19th-century hose cart. When you’re done, you’ll have a deeper appreciation for the bravery of the Denton’s past and present firefighters. 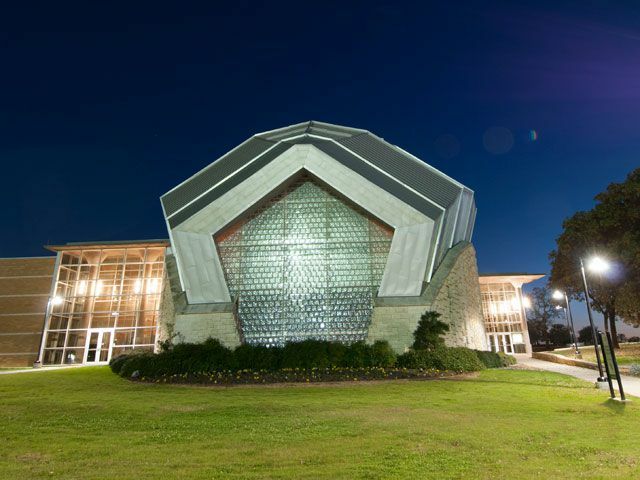 For world-class orchestral performances or entertaining theatrical productions, head to the Murchison Performing Arts Center. The state-of-the-art venue, located on the campus of the University of North Texas, houses two stages: the Margot and Bill Winspear Hall, one of the finest concert halls in the world; and the Lyric Theater. A full events calendar and ticket purchases are available on the center’s website. Enjoy heart-pounding action, the roar of high octane engines, and the bitter smell of burning rubber at the North Star Dragway. From February to October, the dragway hosts a several special events and races a month, such as Grudge Match Madness and the Texas Muscle Car Club Challenge. Kayak down a scenic creek, swim at a picturesque beach, try your luck at catching a fish, or pitch a tent and sleep under the stars. You name it, you can do it at Ray Roberts Lake State Park. Twenty miles of multiuse trails, a marina that sells and rents boats, and a resort can be found within the park, located just north of Denton.